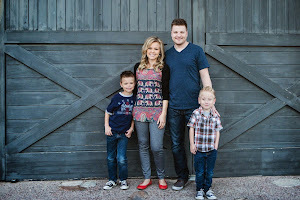 Emmett's Fight is starting a new addition to our blog post's. Once a month we will share a story about another child who swallowed a button battery and his or her fight to survive. I hope by sharing another child's survival story will help our effort's by spreading awarenesst. Emmett is not the only child who has suffered from swallowing a button battery. According to the National Poison Control, 3,500 children each year swallow button batteries. We believe that there are many cases left unrecorded. 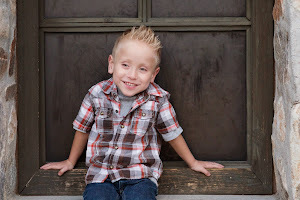 Read Beau's story and please continue to help us spread the word! Meet Beau! He is the sweet big brother in the photo. I want to thank Ashley, Beau's mother for sharing her thoughts and experience with us. I know personally, sharing a tragic experience is like opening up a wound. I appreciate her courage and desire to educate parent's about the danger's of button batteries. Thank you Ashley! I’ll never forget the morning that changed my outlook on life forever. I was sitting on the floor of my living room, nursing my youngest 2 month old son, when my 3 ½ year old son, Beau came tearing out of his room shrieking in panic and pain. He cried to me, ‘Bubba, owie, owie.’. I pulled him into my lap and kissed his forehead and asked what happened, and normally, this is all that it took to fix any ‘owie’ he got. Whether it was after surgery, a fall, a stomach bug, everything was always fixed for him if I put my arms around him and just cuddled him. This was very different. He would not relax in my arms, he was stiff, jerky, could not get comfortable. He kept screaming and crying and I began to become alarmed. He could not calm down enough to tell me what exactly had happened, could only make out that he had fallen off his bed and pointed at his chest and stomach as the sources of pain. My husband walked in the door from work shortly after and I had decided to take Beau to the local ER to make sure he hadn’t suffered a concussion or something else. Right before we walked out the door, Beau vomited everywhere. At the ER they scanned his stomach and abdomen, checking to make sure no organs had ruptured in the fall. While we were there, he continued to vomit. Although he had no fever, we were discharged within an hour with a few Zofran to help with his vomiting and the comments that he may have just fallen on something or it could be the flu. Once home, Beau continued to cry in pain, could not get comfortable and could not keep anything down, and continued to vomit. I’d been noticing since the hospital there were dark flecks in his vomit (that was pretty much the only thing in them) and had noted how odd it was b/c he hadn’t eaten anything besides a waffle that morning and that was long since upchucked, so I couldn’t figure out what was still in his stomach. Now looking back I know that it was the corroded tissue and lining of his esophagus. After 4 hours of no improvement and continued vomiting, despite doses of Zofran, and him still screaming in pain and telling me, “I’m not okay. I need to go to the dr. I’m not okay.” I knew something was not right, and it was not something viral. 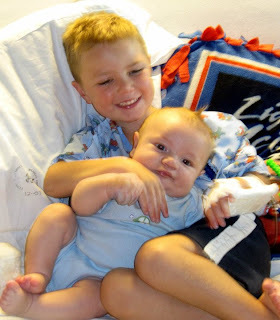 Beau was a strong kid, he had a ridiculous pain tolerance. He’d had 3 surgeries by the time he was 2 ½ yrs old, and he’d never even had doses of Tylenol afterwards. Each time, by the time the anesthesia wore off, he was back to his old self. I knew that if he was still this immobilized by pain hours later, something was very wrong. So we went back to the ER. This time they gave him a CT scan, which was horrifying, and stated it was probably a coincidence and a virus, and to just make sure he didn’t get dehydrated. We were discharged and back at home, Beau fell into a fretful sleep for 2 hours. When he woke up he was completely frantic and crying and vomiting. He still hadn’t been able to keep anything down and it was about 10 hours since the ordeal began. I went into his room at that point determined to find out if there was ANYTHING in there he could have injested that maybe was obstructing his digestive tract or poisoning him. The only thing I found was a booklight that he kept in his room to read himself to sleep. The back was off and there were 2 empty spots for 3v lithium button batteries. I only found 1. I held up the battery I found and saw little impressions that looked like teeth marks. I started to panic as I held it up to him and asked if he knew where the other ones were. His eyes got wide and he instantly lost control and began blubbering incoherently and would not calm down until I put the battery out of his sight. I instantly knew whatever was wrong had to do with this battery, but I thought the worst thing that was possible was that it was lodged in his gi tract somewhere and would need to be removed. I had no idea that it was currently electrically searing a hole through his esophagus and getting closer and closer to killing him as I stood there and tore my house apart at 11:30 pm on a Thursday night trying to find the missing battery. I woke up my husband hysterical and sobbing, begging him to find the battery so that I could relax and believe this was truly just a stomach virus. As he searched I made the mistake of getting on google. What I found horrified me. Countless stories and CAPS LOCKED WARNINGS about the lethal effects of ingested batteries on children, in a fraction of the hours that one had probably been in my own son’s system, had me at a complete loss and I wished I could just put my hand down his throat magically and pluck it out. I couldn’t believe that there was something like that in my son and I could do NOTHING but watch him suffer and pray that I wasn’t too late. We tore back to the ER. We raced in and told them we now were almost positive what was wrong was that he’d swallowed a battery. The nurse obviously had no idea how serious this was as she stuck us in a room, told us that he’d already had a lot of radiation today, and we should probably just go home because it was most likely just a virus. Finally an x-ray was taken and I’ll never forget looking up with Beau in my arms and my heart sinking as I saw the prominent outline of what I knew was in there. We were on the AZ/Mexico border. 1 ½ hours south of Tucson, the closest children’s hospital. I felt we would be medevac’d up there, they would surely know that every minute counted. Instead, we waited 45 minutes for an ambulance to get there, so that we could drive the speed limit through the canyons. I was sobbing and praying on my knees next to my son who was now completely passed out from the pain and exhaustion. My husband was weaving behind us with our 2 month old son in the back seat. At this point I was well aware my son was in the fight of his life and we would be lucky to walk away from this at all, I couldn’t even get my hopes up that we would walk away with our lives unchanged. When we walked in the doors of TMC, the nurses had already pushed my son to the beginning of the surgery list, assured me that would make sure he was fine, and had us settled into a large, private room. Beau was in surgery within an hour and before they took him back, the surgeon asked us if we had any questions and I just remember staring at him and begging him to hurry so that Beau wouldn't be hurting anymore. I vaguely remember them warning us about possibilities of perforations, the fact they wouldn't be able to do much more than pull the battery out, hopefully, with a scope b/c generally in situtations like this the lining is so damaged, they could do more harm than good. I remember going to the bathroom in the waiting room and vomiting and praying. I remember calling my mom sobbing, asking her how she got through it when my brother had had a massive stroke when he was 14 and she didn’t know if he would be okay. In a short amount of time our surgeon was back in front of us showing us a blackened, charred circular object that barely resembled a battery. It had been in Beau for 20 hours and was unrecognizable. He was telling us that a lot was still hanging on what they discovered at the swallow test. The little bit of his esophagus he saw was badly burned, but that he had seen worse, and we would take treatment options one day at a time. He shook his head and said he does not understand why battery companies don’t put some sort of coating on them to make them taste bad to discourage them from putting them in their mouths, or at least keeping them there. Beau woke up screaming for water. I had to tell him no. I cried as I told him because I could only imagine what it must feel like to have your throat with 2nd or 3rd degree burns and be told you can not soothe it with water. The nurses called down to where they do the swallow studies. When there was no answer, they physically walked down there to ensure Beau would be seen immediately so we could know the results as soon as possible. My heart was in my throat, as I soothed Beau and begged him to swallow the liquid so we could see if there were holes in his esophagus. I had prepared myself that there would be some because how could we be so lucky as to walk away from this without one. Miraculously, there were none. However, the erosion was severe and we were told he would only be allowed to have clear liquids until further notice. I was nursing his younger brother, and I’d actually only weaned Beau a few months earlier, and from all of his surgeries, I knew breast milk was deemed a clear liquid, so I asked if I was allowed to give him that. I was sure that he would get more nutrition from that than water, and I also had hopes that maybe it would coat his throat and help it heal faster as well as keep out infection. His doctors loved the idea and encouraged me to do just that. Beau begged for food, but was satisfied with just ice and breast milk. He was given an antacid while we were in the hospital, but that was the only medication. We were in the hospital a total of 4 days, while they kept him under observation. By the time we were released, Beau was allowed to eat any foods that were the consistency of baby food. Unfortunately, Beau has sensory issues and an extreme gag reflex to any foods with this consistency, so he mainly stuck to breast milk and mashed French fries and beans. We were told to stick to that diet for a few weeks until a follow up. When we were released I remember asking what I should watch out for. They said often after an injury like this, scar tissue will build up and close off the esophagus so that his surgeon wouldn’t even be able to fit the tip of a pen into the hole. If this happens he would need a surgical procedure to stretch the tissue back out. All I could do was watch for signs that Beau was choking. The next few months were hard. I was so paranoid about a stricture forming, or when Beau would get a cold and a cough, that the cough would put too much pressure on his damaged throat and it would cause it to blow. There is nothing like knowing your child is dying to make you realize just how devastating and unimaginable the possibility of losing them really is. Every time I walked into his room for weeks afterwards, I wasn’t able to breathe. I would start to panic and would have to close my eyes and remind myself that he was healing now. For Beau, it wasn’t any easier. He was unfortunate to be past that magical age of 3, where they suddenly start remembering things long term. His nightmares were horrible. His screams of sheer terror woke us up every night for months. He would come tearing out of his room, sliding as he made the turn into the hallway trying to outrun whatever monster was suddenly chasing him. He suddenly seemed to have realized he wasn’t invincible, and fear was an emotion that was new to him. Slowly they began to subside, and randomly Beau began to talk about the whole experience. It’s been almost 10 months, and I won’t allow anything that has those batteries in them into my house. It seems everything they are in have the flimsiest battery covers known to man. I can still not wrap my hear around the fact that something so lethal is so accessible and I had no idea I was placing it into my child’s hands by giving him a book light. Beau is back to eating a normal diet, although his gag reflex is even more sensitive now. Our family will never be the same, and although it taught me a new appreciation for my life and the health of my children, it was an unnecessary injury to my child that could have been avoided if I’d known it was possible. Every time I look at Beau I know that we are unbelievably blessed that our biggest scars were some months of nightmares and a few weeks of a restricted diet. I believe that because he was older and his esophagus was bigger, and he was able to tell us just how wrong something was with him, he was able to survive and fare better than those kids who are younger with the same injury. Now that my youngest is turning 1, I keep picturing what it would be like if it was him. There are so many things that happen to our kids that are out of our hands, sickness, disease, etc, that to have a danger out there that is preventable if parents are only made aware of its existence, seems like a crime to me. With the use of button batteries on the rise, so is the danger they put our kids in. OH MY WORD...poor Beau! Sounds like the hospital there is to blame at least to some degree. When you had him in there the 2nd time, they should have dug more deeply! I am so glad that they saw it on the xray the 3rd time. I wonder what made it not show up the 1st time though. When my son swallowed 2 of those button batteries, they both showed up on the xrays right away. Regardless of why they didn't, I am very grateful that this had a happy ending! They did an ultrasound scan the first time. I'd asked for an x-ray to check his ribs and spine because of how jerky and stiff and in pain he was, but they said it was unnecessary. :( It would've caught it if they had. I assume the hospital was the sierra vista hospital. This hospital is known for giving an easy dx just to get ppl out of there. U need to demand and I mean demand that certain things r done otherwise they wont do it. I have a 2year old and they always made an excuse as to why he didnt need this or that. Im sry this had happened to u and I would write a complaint about the first hospital cuz they need to learn to listen! My heart is with u! I live in sierra vista and I will share this story because it doesnt surprise me about the hospital they have a record for not listening. My little one is becoming more mobile by the second... I will be going through everything in my house, including my daughters book light, and tossing anything with these batteries. Karla, you are an amazing woman and you blow my mind with all of the hard work and dedication you have put into this awareness. My heart just breaks for you going through those hours and hours. I can't imagine having to watch my children be in so much pain and not know what to do. What a miricle he is ok! My son puts everything into his mouth and I'm so very grateful to have read this. Thank you for trying to get the word out! Mothers, trust your instincts. That hospital did the same thing to us when my 5 yr old wouldn't walk on her leg after a 210 lb man stepped on her ankle. We brought her back 4 x in 20 hrs because she couldnt stop crying. The Dr. said our child was looking for attention! After driving to Tucson, a fx was discovered in 2 places in her ankle. You know what is normal for your child. Be rude if you have to. There is a God syndrome in that ER. Thank God you trusted your instincts!!! Had a similar problem with our local hospital but luckily they allowed me to stay and found my daughter's stomach had perforated from battery acid and we were airlifted in time. Praying for your family, it is so hard to move on after such a trauma happens to your baby :( We are still taking it a day at a time too. The first xray they took they didn't see the battery. They were going to send us home but I told them I daughter had thrown up 4 times since being there and my daughter never throws up. The Dr said ok let me go look at xray. So he hadn't even looked at it. When he came back he said they took xray of her stomach and they needed to take another one of her chest and throat. So here we are waiting again. It was horrible. Oh I'm so sorry Christine. How is she now?